We give you a call to tell you about all the vehicle, previous owners, service history etc. You pay £99 to remove the vehicle from sale pending seeing the vehicle and a test drive within a few days. 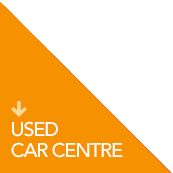 We are confident that we have described the vehicle in real detail but if after seeing and driving the vehicle you decide for whatever reason it’s not for you, we can either transfer the deposit to another vehicle or give a 100% no quibble refund – if you decide to go ahead then the £99 is taken off the outstanding balance.